Christopher Cataldo suffers from a chronic illness that compromises his immune system and severely limits his diet. His world consists of only seven foods – almost all of them fruits and vegetables. One of the few treats that the 6-year-old can enjoy are Chick-fil-A Waffle Fries. Unfortunately, his condition keeps him from eating inside the restaurant, so his family takes him to the drive-thru of his local Houston Chick-fil-A, sometimes once or twice a day. 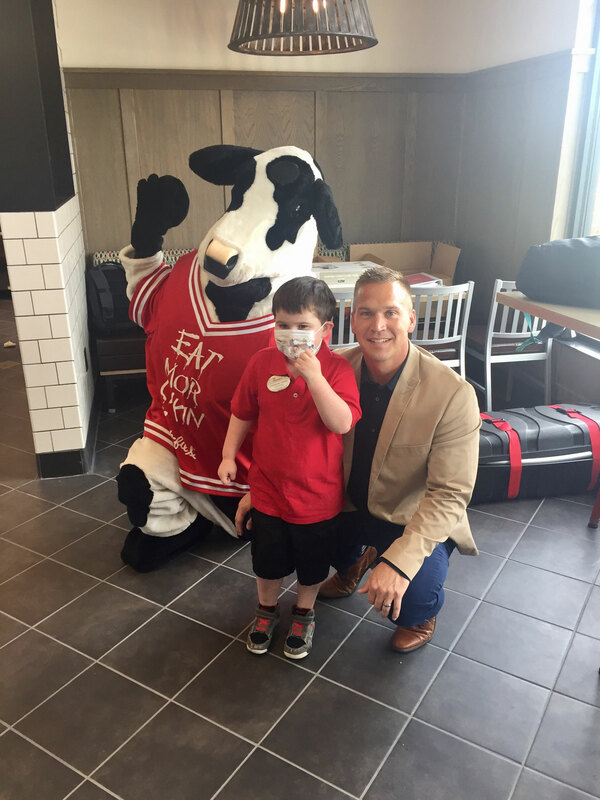 Hearing how much Christopher loves Chick-fil-A, Brad Munson, the franchise Operator of a local Chick-fil-A that was about to open, had the idea to make him “Operator for the Day,” giving the boy exclusive access to the entire restaurant one day before it opened to the public. Cataldo’s condition, called eosinophilic esophagitis, is a chronic immune disease triggered by certain foods and environmental allergens that inflames his esophagus and causes his body to produce white blood cells called eosonophils, which make it difficult for him to swallow or to go out in public. That meant getting the Chick-fil-A ready for his visit required special preparation. “We had the entire restaurant professionally cleaned. We didn’t let our team members start preparing food that day, and we even limited the number of people who could be in the restaurant at the same time,” said Munson. “We even had the play area sterilized. 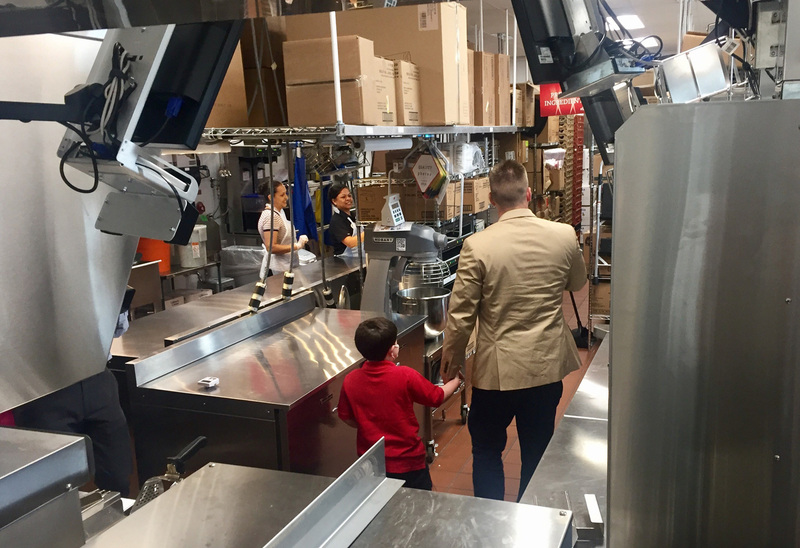 If you think about it, for a child to go through the drive-thru, see the play area and know he can finally go into it – he’s going to remember that for the rest of his life,” Munson added. The entire opportunity was the result of a chance encounter. Munson’s family had just moved into their new house. His wife struck up a conversation with a neighbor – friends of the Cataldo family – who asked if Cataldo could have a Chick-fil-A hat or t-shirt since he was such a huge fan of the restaurant. “Once I learned more about Christopher’s story I decided we could do better than giving him a t-shirt or hat. Let’s make it a whole day for him,” Munson said. In addition to his limited diet and minimal exposure to public places, Cataldo and his family must also travel by car every 10 to 12 weeks from their home in Texas to Cincinnati Children’s Hospital for a battery of tests – passing Chick-fil-A restaurants along the way, but never able to go inside. “I have four children of my own, and I have two boys that are around Christopher’s age. As a dad, seeing a need from a child and knowing I could help made the decision a no-brainer for me,” he said. When Cataldo visited the restaurant, he took to Munson instantly, and the two spent hours touring the Chick-fil-A and making waffle fries together. Cataldo even officially opened the restaurant’s playground with a ribbon-cutting and be the first child to play in it. The following week, Munson visited Cataldo again at his home.